The expected open market price of Premium Motor Spirit (petrol) being imported into Nigeria may have risen above N190 as crude oil price climbed towards a four-year high of $75 per barrel. As of March 20, 2018, when the international benchmark for oil prices, Brent, traded around $66 per barrel, the EOMP of petrol, according to data obtained from the Petroleum Products Pricing Regulatory Agency, was around N189 per litre. Brent, against which Nigeria’s crude oil is priced, touched $74.75 per barrel last Thursday, having gained 10 per cent since the start of this month. It traded around $73.62 as of 3:30pm Nigerian time on Wednesday. “If we keep the price of petrol fixed and there is an increase in crude oil prices, the price of petrol will rise and somebody has to pay for it, whether the NNPC or the Federal Government. 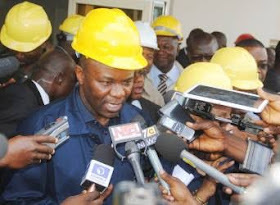 Somebody has to pay more and that has to come in the form of subsidy,” the Chairman/Chief Executive Officer, International Energy Services Limited, Dr. Diran Fawibe, told Punch. He stressed the need for the country to ramp up local refining of crude oil in order to reduce the dependence on importation to meet the nation’s fuel needs. The Group Managing Director, Nigerian National Petroleum Corporation, on December 23, 2017, said the Federal Government had been resisting intense pressure to increase the pump price of petrol, noting that the landing cost of the commodity was N171.4 per litre as of December 22, when oil price was around $64 per barrel. By adding the N14.3/litre for other cost elements such as the retailers’ margin, bridging fund, dealers’ cost and transporters’ pay, as captured in the last published template of the PPPRA, to the landing cost of N171.4, the pump price rises to N185.4/litre. Baru stated that the NNPC had been subsidising the cost of petrol, as the official pump price remained at N145/litre. “The landing cost moves with the CIF (Cost, Insurance and Freight) price of the PMS. As of Friday (December 22), the CIF price was in the neighbourhood of $620 per metric tonne. With the official exchange rate of N305 to the dollar, the landing cost should be N171.40 per litre,” he said. The PPPRA, in its Downstream Monitor for January to April 2018, noted that petrol price continued to rise at the international market, pushing the expected open market price far beyond the recommended pump price of N145/litre.